It was tough to find a division with better storylines last season than the Pacific. The Sharks once again finished with the No. 1 seed in the Western Conference while questions about their mettle come mid-April continued to nag. The Coyotes overcame all kinds of offseason adversity to get back to the playoffs, while the Kings also cracked the West's top eight after a lengthy absence. A date in the playoffs wasn't meant to be for the Ducks or Stars, but both teams kept their fans' hopes up into the final week of the regular season. It's only been three years since the Ducks lifted the Stanley Cup, but in the past two offseasons, they've lost their top two defensemen from that championship team. Chris Pronger was traded to the Flyers at the 2009 Entry Draft, while more recently Scott Niedermayer opted for retirement. The Ducks might have a future gem on their hands in Cam Fowler, taken No. 12 this year, but as they wait on him to develop, they could be in the market for a puck-moving blueliner capable of handling some of the power-play minutes Niedermayer traditionally ate up. What the Ducks do in free agency will also be determined by whether they retain the services of a couple veteran forwards who should draw interest around the League: right wing Teemu Selanne and center Saku Koivu. If Selanne bolts to another team or elects to retire, that's another 14 power-play goals he takes with him, not to mention a veteran presence both on and off the ice. Similarly, Koivu proves valuable not only for his leadership, but also his role as the second-line center. With their top-three scorers -- Corey Perry, Ryan Getzlaf and Bobby Ryan -- all returning, the Ducks don't necessarily need to go out and add a game-breaker. The fact they finished last season 22nd in team goals-against (2.96) and 24th in penalty-killing (79.3 percent), while allowing the second-most shots per game (33.4), suggests another defensive forward and/or stay-at-home defenseman could be a top priority in making life easier for goaltender Jonas Hiller. It's hard to imagine the Stars will make a move on or after July 1 that generates bigger headlines than the one we already know they won't make: re-signing the face of the franchise, Mike Modano. The player who began his Hall of Fame career over two decades ago with the then-Minnesota North Stars won't be brought back for a 22nd season, the Dallas organization announced Tuesday. Four years ago, when Modano was still a point-per-game producer, his departure would have created a gaping hole at the center position, but if the Stars want to add a free agent there it won't be as much of a challenge to replace the 30 points he registered last season. Goaltender Marty Turco will also be allowed to leave via free agency, and while Kari Lehtonen, a trade pick-up from the Thrashers, is expected to carry the bulk of the workload next season the Stars should still be in the market for a reliable backup, given Lehtonen's injury history. They drafted USDP goalie Jack Campbell with the 11th pick in this year's Entry Draft, but at just 18 years of age, his time in Dallas is not quite yet. The Stars were another team with defensive concerns last season. They ranked 23rd in team goals-against average (2.98) and 27th in penalty-killing (77.4 percent), so like the Ducks they may want to be mindful about adding the type of free agent who can help improve them in those categories. The Kings made a splash during free agency last summer, adding a high-scoring veteran forward in Ryan Smyth and a reliable defenseman coming off a Stanley Cup victory in Rob Scuderi. Then, behind the emergences of Jonathan Quick in goal and Drew Doughty on the blue line, they ended a lengthy playoff drought and battled the Canucks hard despite a first-round exit. Now, if Los Angeles wasn't already enough of a draw for a player seeking a new contract, there's the benefit of joining a team that expects to be a Stanley Cup contender in the years to come. Speculation is the Kings could be a frontrunner for the services of sniper Ilya Kovalchuk, who was traded from the Thrashers to the Devils last season after he turned down an extremely lucrative extension. It seems doubtful the Devils will be willing and able to spend the type of money required to keep him. 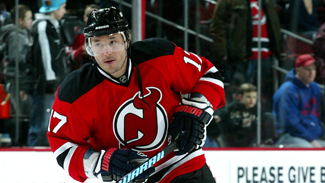 Kovalchuk continued his typical production with 41 goals and has twice reached 52 goals in a single season, but he's still looking to find playoff success -- in two trips with Atlanta and New Jersey, his teams are a combined 1-8 in postseason play. If Modano elects to keep playing, which he said there was about a 75 percent chance of, the Kings were one of the teams he apparently would consider. Modano's extensive playoff experience alone would seem to make L.A. a great fit at the end of his career. Otherwise, it doesn't seem as though the Kings have a lot of tinkering to do with their roster as long as the young nucleus of Quick, Doughty and Jack Johnson continue to develop. In their storybook return to the Stanley Cup Playoffs last season, the Coyotes made their share of shrewd pick-ups at the trade deadline. Lee Stempniak scored 14 times in just 18 games in Phoenix, the same number of goals he had put up during 62 games with the Maple Leafs, and Wojtek Wolski was a point-per-game producer after coming over from the Avalanche. Wolski was re-signed earlier this week, but Stempniak is set to become an unrestricted free agent on July 1, as is blue line stalwart Zbynek Michalek. With the commitment to defense under Jack Adams-winning coach Dave Tippett, it appears bringing Michalek back into the fold would be a top priority. Like the Ducks, the Coyotes were the beneficiaries of a highly-ranked defenseman slipping in the first round of the draft, and they were able to grab Brandon Gormley with the 13th pick. Oliver Ekman-Larsson, taken No. 6 in 2009, could crack the lineup this season. While the Coyotes had the League's third-best team goals-against average (2.39), they ranked a dismal 24th in goals per game (2.57) and 28th on the power play (14.6 percent). Operating on a somewhat tight budget, it's questionable whether they will be able to add the type of impact player who could make a difference when it comes to raising their game offensively. While the Sharks took some strides toward erasing their reputation as playoff underachievers, they still came up eight wins short of the ultimate goal, getting swept in the third round by the eventual Stanley Cup-winning Blackhawks. Changes were expected, and one has already come with the news that veteran goaltender Evgeni Nabokov will not be offered a new contract. A workhorse during the regular season, Nabokov won 293 regular-season games during his 10 seasons in San Jose but shouldered much of the load for the team's postseason failures. Regardless, the Sharks will be expected to contend yet again in 2010-11, and so the anointment of a new No. 1 goalie figures to come under great scrutiny. Will the homegrown Thomas Greiss, a third-round pick in 2004, be handed the reins despite having only 19 NHL games and 7 wins to his credit? 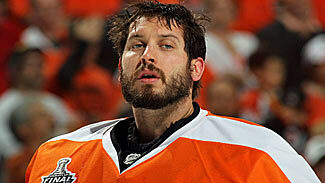 Or will San Jose turn to one of the available veterans on the market, such as Turco, Chris Mason or Dan Ellis? After getting ousted by the Blackhawks, there were questions as to whether former captain Patrick Marleau, an unrestricted free agent-to-be, would be back. However, the Sharks answered that by giving him a new four-year contract. Joe Pavelski, set to become a restricted free agent, also got a four-year deal, while another key young forward in Devin Setoguchi was tendered a qualifying offer. San Jose could look to add a veteran defenseman to replace Rob Blake, who retired following the season.